Emily Strawbridge has the acumen for analytical thinking and logical reasoning but appreciates the human interaction that comes with being an attorney. Her life motto “Be tough on problems and not on people,” allows her to use that critical thinking to serve as both an advocate and an advisor to her clients. Emily’s practice is concentrated in Public Schools and Education where she counsels clients in all aspects of school district representation and public sector law, including legal issues facing school boards, negotiations, and special education litigation. 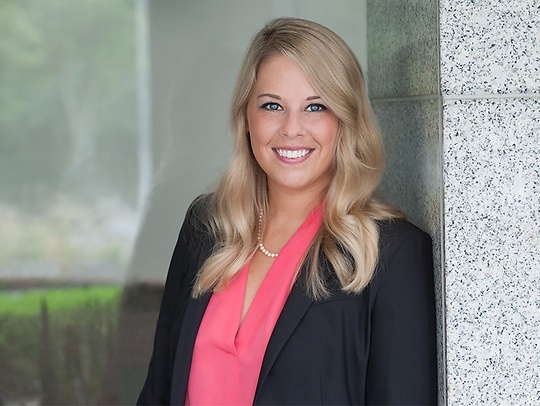 Before joining Parker McCay, Emily clerked for The Honorable Douglas H. Hurd, P.J.Civ. in the New Jersey Superior Court. She also interned at Rutgers School of Law as a research assistant where she focused on Equal Protection and Due Process rights under Federal or State Constitutions. She currently resides in Mount Laurel with her husband, and enjoys sailing and visiting the Jersey shore.